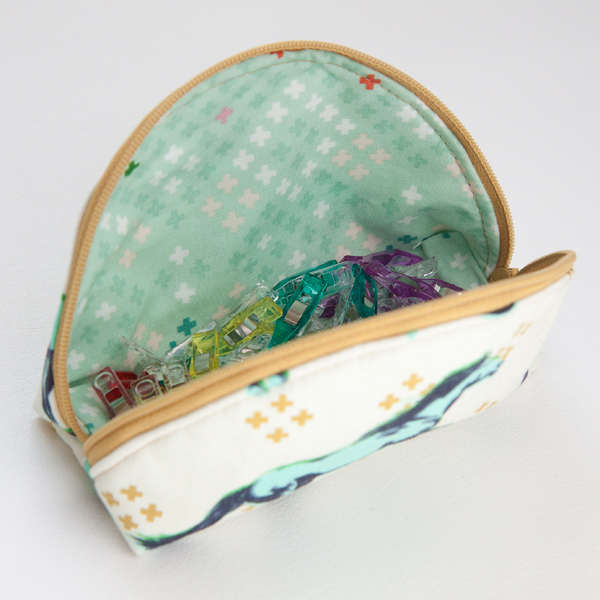 For this week’s zipper pouch, I wanted to make something very quick and easy. 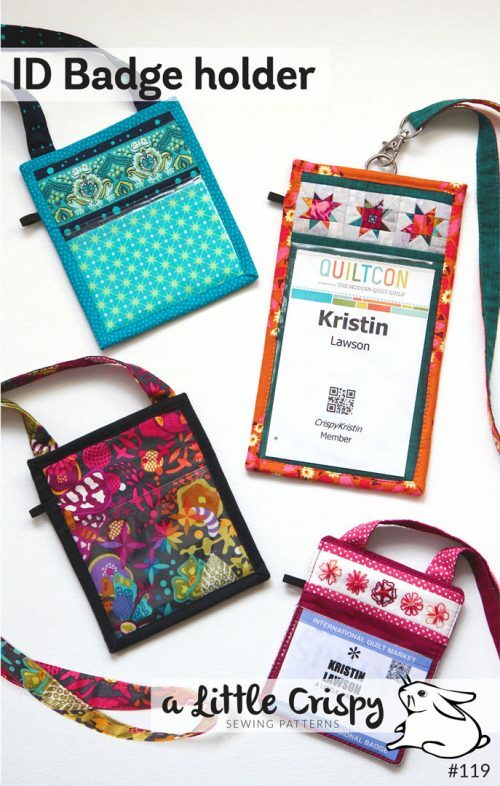 I’m headed to QuiltCon next week and I haven’t started getting ready yet. Eeek! 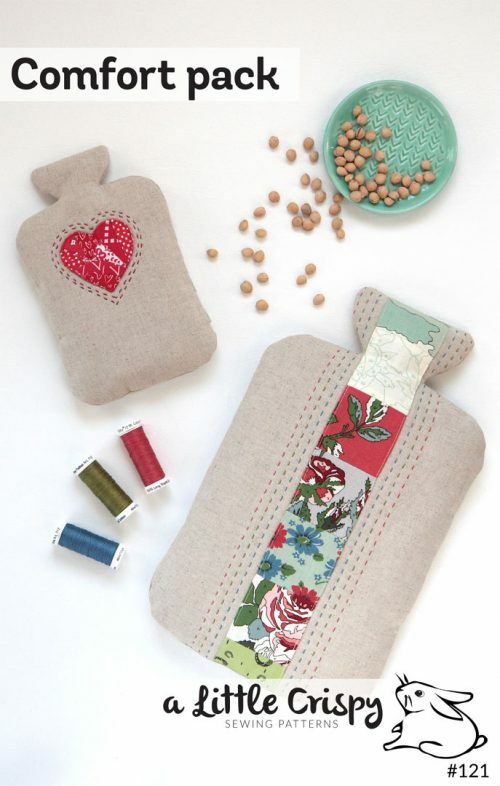 So I chose something easy from my zipper pouch Pinterest board, a dumpling bag. 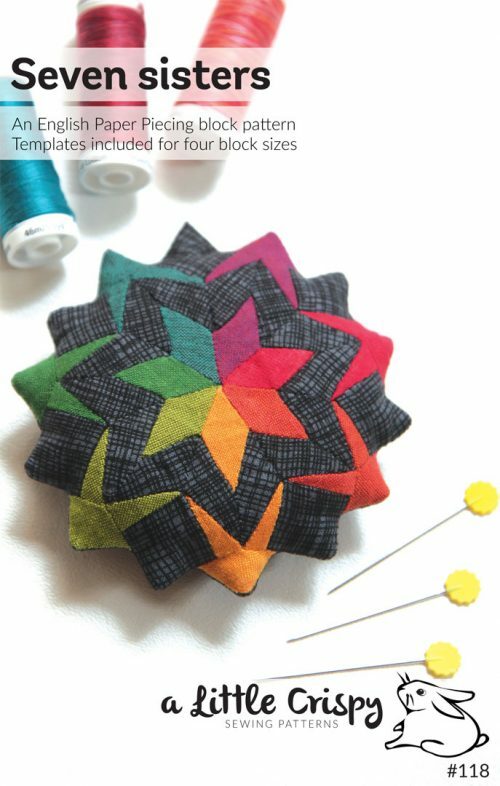 It’s a free tutorial from Michelle Patterns. It was super quick and easy–I think I was done in less than an hour, including choosing the fabric! 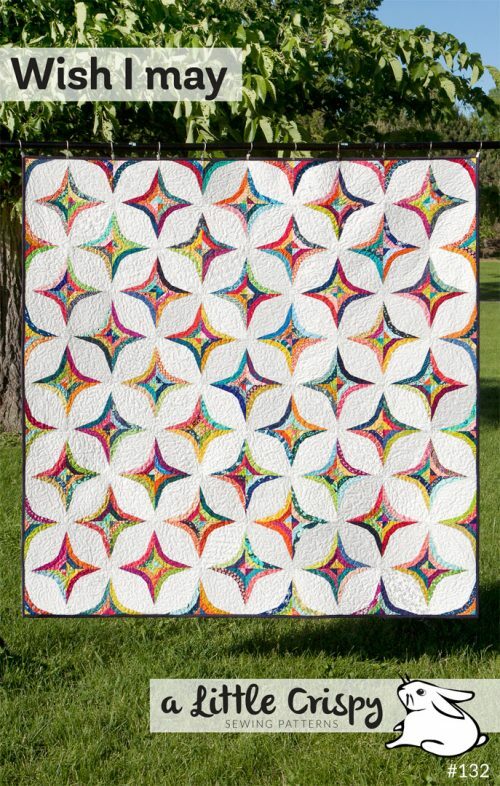 My only regret is that I didn’t quilt the outer pieces. They are a little puffy and I think that quilting them would have lent them a nicer finish. I chose to start with the larger size, but next week I’m thinking I’ll make the smaller one. 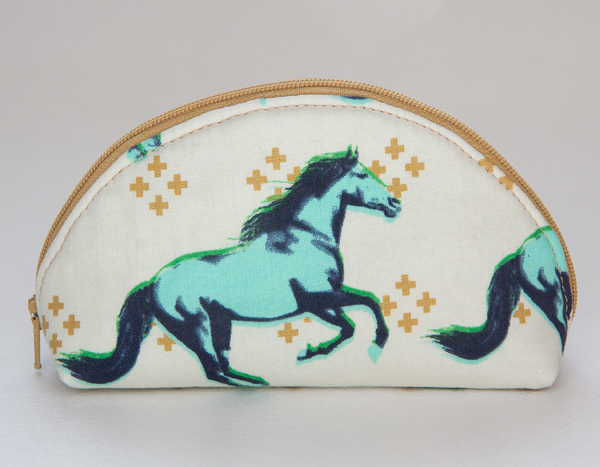 I used this Mustang fabric from Melody Miller/Cotton + Steel that is a favorite. I cut two outer pieces instead of one so both horses would be upright (described more below). I lined it with more Melody Miller/Cotton + Steel from the same Mustang line called Rose Border. 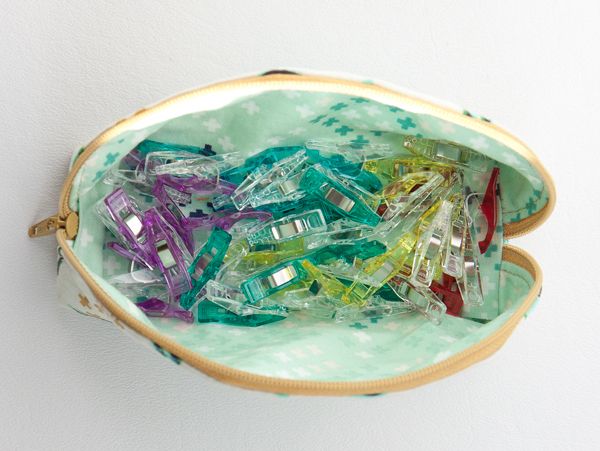 I’m not totally sure that this will be the final use of this pouch, but for now it’s holding my Clover Wonder Clips. I like that the pouch opens really wide so I can just reach in while it’s sitting open on the table. Outer pieces (2): used template, backed with fusible fleece. I used a directional fabric, so instead of cutting out the template on the fold, I added 1/4″ to the “fold” edge and cut two pieces, both with a horse standing up instead of upside down. I sewed those two pieces together and then proceeded with the tutorial. 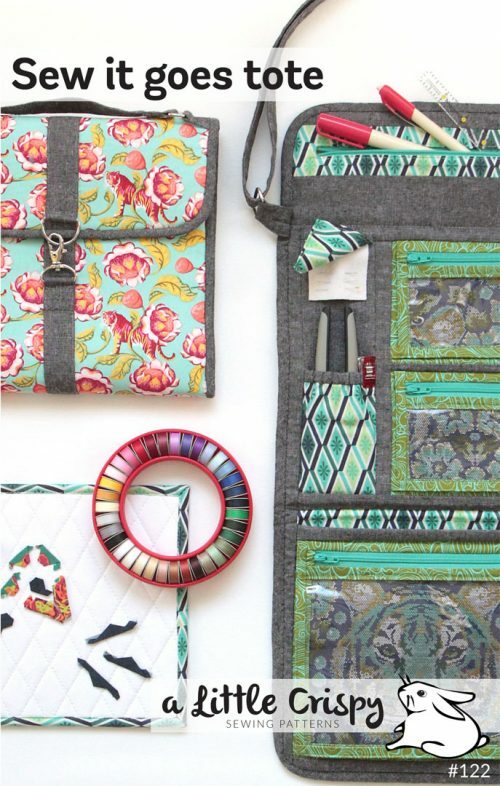 Love the dumpling and other pouches you have made. I have a ton of zippers so I think I will tag along with you on your 52 weeks of zipper adventures.